This 2.5-kilometer diameter crater has been significantly altered from the usual bowl-shaped appearance we associate with craters. Material has covered significant portions of the ejecta and filled in the crater. 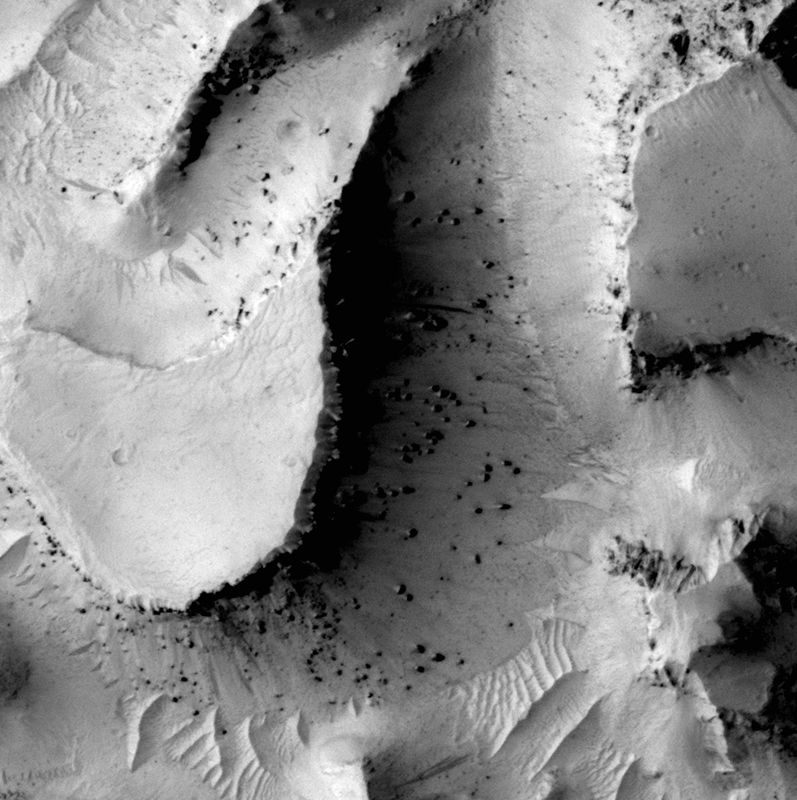 This fill material has since been subject to erosion— like boulders weathering out of the slopes —and the crater rim is also highly irregular. This crater is located in Elysium Planitia, an area dominated by volcanic processes. It’s likely that the crater fill material is volcanic in origin, and possible that the rim was etched by lava, either flowing into the crater or spilling over after the crater filled completely. However, there are also signs of erosion by wind, like the parallel ridges in the rim breaches and between high-standing regions of the crater fill. 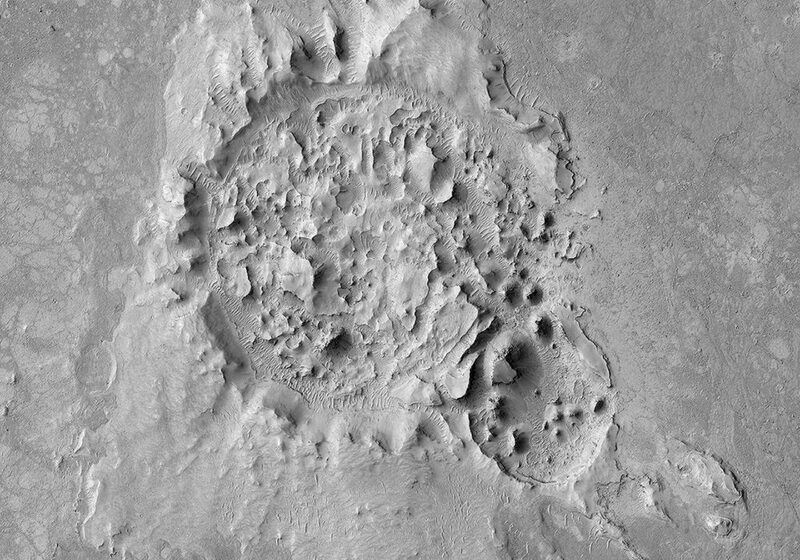 It’s likely that the current appearance of this crater is due to a combination of surface processes. This is a stereo pair with ESP_045319_1830 .